My husband is on the Daniel Fast at the moment and so I have had to get creative when feeding my family. He is the only one who needs a special meal, so I have been preparing things ahead for him. 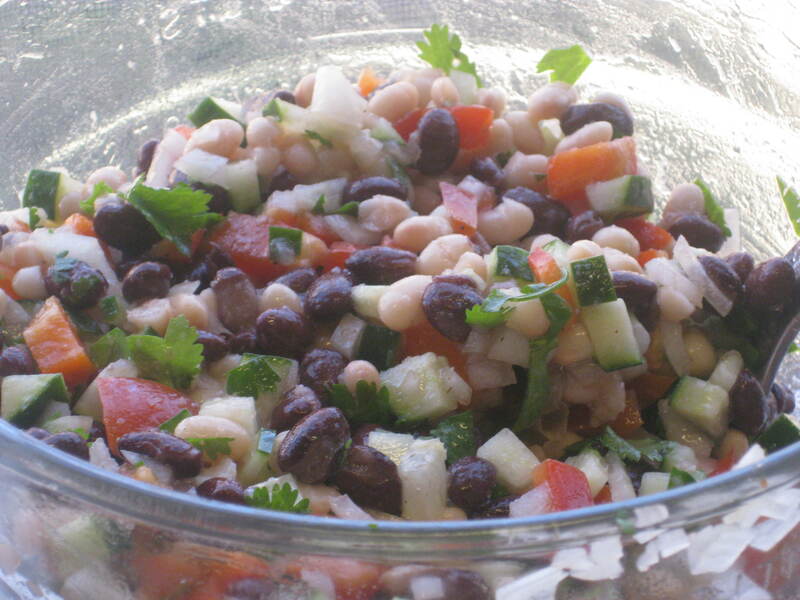 Here is one of my favorite bean salads that just so happens to be appropriate for the Daniel Fast. Finished salad. This is a colorful dish and reminds me of summer. This is easy. Combine cucumber, pepper, onion, beans, and cilantro. Mix remaining ingredients together, pour over bean mixture and toss. I like it room temperature or cold. Refrigerate leftovers.